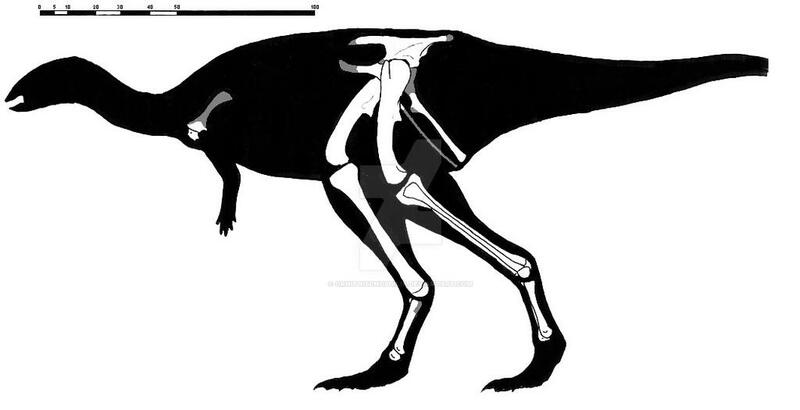 Skeletal reconstruction of the dryosaurid Valdosaurus canaliculatus from the Early Cretaceous of the UK. 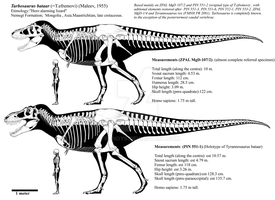 This is a composite based on IWCMS 2007-4 (large adult; scap-cor, femur), MIWG 6879 (large adult; femur, tib-fib), BELUM K17051 (adult; tibia, metatarsals, illium), NHM 2150 (subadult; illium), and MIWG 6438 (juvenile; pubis, ischium), all scaled to match almost identically sized IWCMS 2007-4 and MIWG 6879. 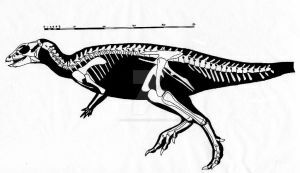 The holotype specimen is from a juvenile roughly 100 cm long, but the adults seem to have gotten to be around 300 cm long, similar to other known dryosaurids. Gray indicates unknown portions of preserved elements, scale bar is in centimeters.